Mec-Gar 10 round .45 acp magazine with the anti-friction coating MGWIT45LFAFC. The magazine is compatible in the CZ 97B, CZ 97BD, EAA Witness, Tanfoglio, Springfield P9, IWI Jericho 941 FS Mid-Size Steel .45acp, ASAI One Pro, EAA Witness Elite Series, Match Stock 1, Match Stock 2, Hunter (6" barrel), Limited Pro, Magnum Research Baby Eagle II and the Desert Eagle Pistol without the rail by Israel Military Industries. This is the magazine you need for the EAA Witness/Tangolio Stock II and Stock III (large frame models). These are the new style aftermarket magazines that Mec-Gar now supplies as Tanfoglio's OEM magazine. I also stock the CZ factory OEM CZ 97B magazines if you prefer those. If you want the look of the CZ 97B factory magazines I have the CZ 97B factory magazine base plates. 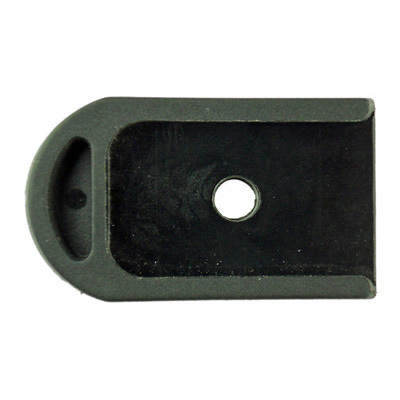 CZ 97 MAGAZINE BASE PLATE 0460003001. THESE BASE PLATES ARE ONLY GOOD FOR THE CZ 97 AND MEC-GAR EAA WITNESS TANFOGLIO AND CZ MAGAZINES.